Last year’s inductions into the Baseball Hall of Fame included 6-foot-10 Randy Johnson and 5-foot-11 Pedro Martinez. This year’s inductees represent a different kind of contrast. 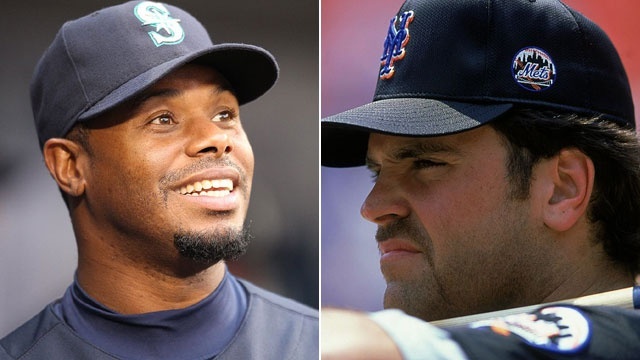 Ken Griffey Jr. was the number 1 overall pick in the draft, while Mike Piazza was taken in the 62nd round with the 1,390th pick, the lowest draft choice ever to make it to Cooperstown. In the same way, there are a variety of different people in the church. We all have different duties, gifts and talents. Some look more impressive than others, but we all are equally loved by God, and we all have an important role to play in the kingdom. “Now you are the body of Christ, and each one of you is a part of it.”—1 Corinthians 12:27. This entry was posted in Christian Living, Church, Sports and tagged 1 Corinthians 12:27, baseball Hall of Fame, body of Christ, Cooperstown, Ken Griffey Jr., Mike Piazza, talent for God. Bookmark the permalink.